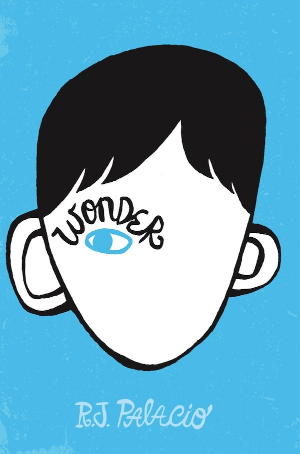 Wonder began as a middle school reader written by R.J. Palacio. Next week on November 17th, it hits our movie screens with Julia Roberts, Owen Wilson and Jacob Tremblay as Auggie, the boy with a ‘cranio-facial difference’ going to school for the first time. Tremblay is the remarkable young actor who played Brie Larson’s son in Room. Lionsgate has just released this new featurette about the making of the movie. While most of those who’ve seen the movie see it as a message of hope and kindness, the film has its detractors. 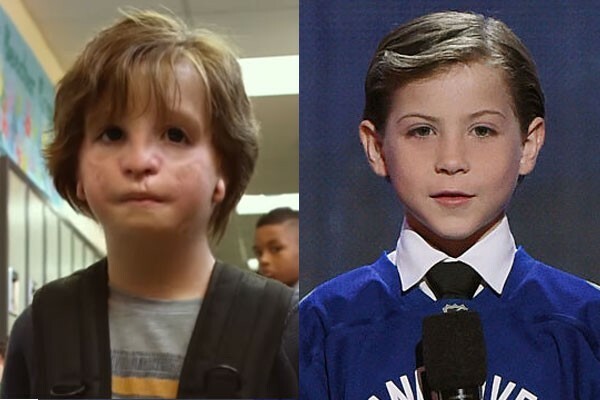 There are those who object to the fact that the young actor is wearing the disability like a mask that can be removed while those who have this very real cranial difference can’t simply remove the makeup and return to their adorable looking selves. "Rat boy. Freak. Monster. Freddy Krueger. E.T. Gross-out. Lizard face. Mutant. I know the names they call me. I've been in enough playgrounds to know kids can be mean. I know, I know, I know." Take a look at what Ariel Henley, a young woman who grew up with Crouzon Syndrome wrote for Vice.com. ‘It's not Halloween, take off the mask," a stranger yelled to me from his car window, as I walked home from class. The man continued howling as he drove passed me. I avoided eye contact with the people around me and hurried into the nearest academic building, where I hid in a bathroom to cry. I was 21 years old, and a student at the University of Vermont. Though I've long been used to living with Crouzon syndrome, a craniofacial condition that resulted in disfigurement, I've never been willing to accept the cruel ignorance that often surrounds me. Growing up with a disfigured face, the belief that I was inferior and unworthy of basic equality was ingrained in me. We live in a world where physical appearance often dictates our role in society. And even worse than the public mocking and ridicule, is the fact that history's long standing cultural attack on those living with facial differences remains a widely unrecognized issue. According to popular media—film, television, and books—to be disfigured means to be evil. In movies, villains are often disfigured. There's Freddie Kreuger, Scarface, and Darth Vader. This message is even planted into children's minds. In Lion King, the evil character is even named "Scar." The subliminal messaging present in entertainment is harmful and damaging to those living with facial differences. Aside from the villain niche, the mainstream representation of individuals with physical differences is practically nonexistent. Perhaps that's why I was elated to discover the film Wonder, (set to release late this year) a story about a child named Auggie—a ten-year-old boy who was born with a craniofacial condition and lives with a facial disfigurement. Based on the book by R.J. Palacio, the story chronicles Auggie's experience as he enters a mainstream school for the first time, and how his classmates react to him. According to Palacio's website, the author was inspired to write Wonder after her own child reacted negatively to seeing a young girl with a craniofacial condition at an ice cream parlor—a story I found all too familiar. Growing up, I was unable to leave my house without facing public ridicule. I know what it is to be that girl. I know what it means to have people repulsed by and afraid of your very existence—to be treated like a monster. "When my younger son looked up and saw her, he reacted exactly the way you might think a three-year-old would react when seeing something that scared him: He started to cry—pretty loudly, too," Palacio says, on the site. While the author goes on to acknowledge the problematic and offensive nature of her son's reaction, it doesn't justify writing a book about an experience she has never lived. How can someone without a disfigurement, who has no idea what it's like to actually be disfigured, who has no idea what it's like to have traumatic head and face surgery, who has no idea what it's like to not belong anywhere in society, write a book about it? In addition to the book, the film adaptation of Wonder, has further demonstrated just how far people like me still have to go in terms of mainstream inclusion. Starring Julia Roberts, Owen Wilson, and Jacob Tremblay, the abled, whitewashed casting of the film transformed a story that was supposed to give a voice to those of us with craniofacial disorders into a situation of oppression. You see, Tremblay, the actor cast to play Auggie (who, remember now, is supposed to have a craniofacial condition and facial disfigurement), does not even have a "facial difference." That's the phrase often used to describe what I have, which resulted from the premature fusion of my cranial joints. Facial differences are typically facial characteristics of individuals with craniofacial conditions—widely spaced eye sockets, underdeveloped upper jaw, large skull, and slanted eyes that bulge from the face. Instead, Tremblay will be made to look disfigured with prosthetics and heavy makeup. The actor will also fake a speech impediment. 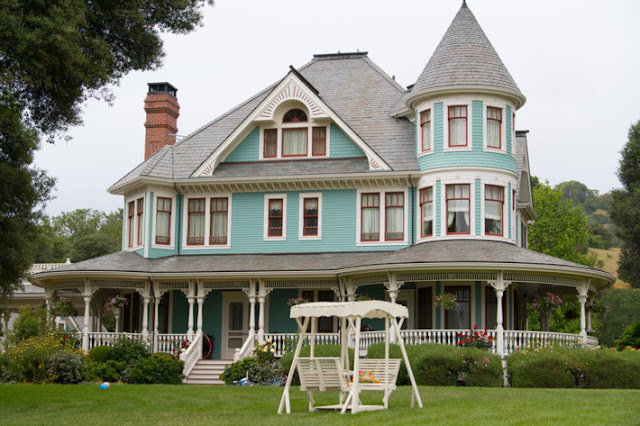 There are numerous actors with disabilities who could have been hired to play these roles. As someone with a craniofacial condition, I wanted to like the fact that there was going to be a major motion picture about a child with experiences that were meant to be similar to mine. For the first time, I'd be able to see someone like me in a character on the big screen. Like Auggie, I endured numerous surgeries to correct facial disfigurements. I grew up trying to understand why I was different and why I didn't belong. I was constantly on the outside. Individuals who looked like me, who had conditions like mine, were never written about in books. There weren't children who looked like me anywhere: not on television or in movies. While I wanted to like that Wonder was supposed to tell a story similar to mine, I didn't. Because even though people with craniofacial conditions are often mocked for their appearance, called monsters, and told to remove their "masks," directors decided to cast a generic looking child and have him do just that—wear a mask. But unlike Tremblay, those of us with craniofacial conditions cannot remove our faces. We can't take off a mask, wipe off makeup, and suddenly blend into society. While Tremblay and the rest of the cast can go home after filming and readjust to their privileged, abled lives, those of us with facial differences continue to countenance ignorance, adversity, and marginalization on a daily basis. The makers of Wonder have not yet replied to my request for comment. "I wonder how you, the rest of the facial difference community, and I will feel when we see the movie and we see how hard the make-up artists work to make the actor look like you and me, figuratively, when they could have just asked one of our young peers to play the role," says Jenny Kattlove, who was diagnosed with hemangioma—a condition that caused benign tumors to grow on her face—as a child. The more I think about it, the more upset I get about it. Are we [the facial difference community] not worthy of representing ourselves?" The National Craniofacial Association reports that one to two of every 1,000 babies born in the United States will have a craniofacial condition. 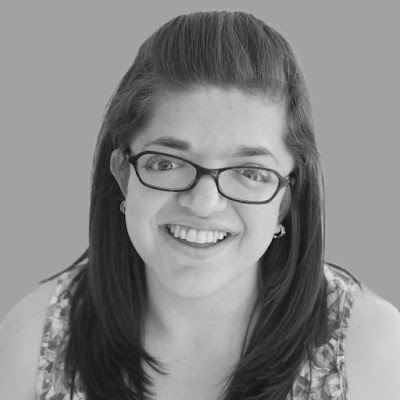 Individuals with craniofacial disorders and facial disfigurements help make up the more than 50 million individuals living with disability in the US. According to research from the Ruderman Foundation, individuals with disabilities account for 20 percent of the population, yet fewer than 1 percent of characters on television are portrayed as having a disability. To make matters worse, disabled characters are rarely played by disabled actors. In fact, 95 percent of disabled characters are portrayed by able-bodied actors. We saw this at the 2017 Oscars, where four of the nine movies up for Best Picture had disability-related themes, yet not a single actor in a disability-related role, had an actual disability. The casting of Tremblay to play Auggie is not the only problematic casting issue in this film. Julia Roberts, a caucasian actress, will play the role of Auggie's mom—a Latina woman. It's not okay for cultures or ethnicities to be costumes, and it's not okay for my disfigurement and my medical condition to be a mask. It's racist, ableist, and does a great disservice to the communities they claim to represent. "For the past 10 years, we have quantified disturbing patterns around the lack of media representation concerning females and people of color in film. Despite elevated awareness around this issue, the numbers have not budged," a recent report from USC reads. And while people of color, women, trans and/or gender nonconforming individuals, and every other marginalized population absolutely deserve increased representation in Hollywood, individuals with disfigurements are completely left out of almost every single inclusion-related study. "Shifting from invisibility to inclusion is no easy task. Companies have the opportunity to dismantle the structures and systems that have guided decades of exclusionary decision-making," the report continues. Yet, as we see in films like Wonder, they simply choose not to. "It must change. 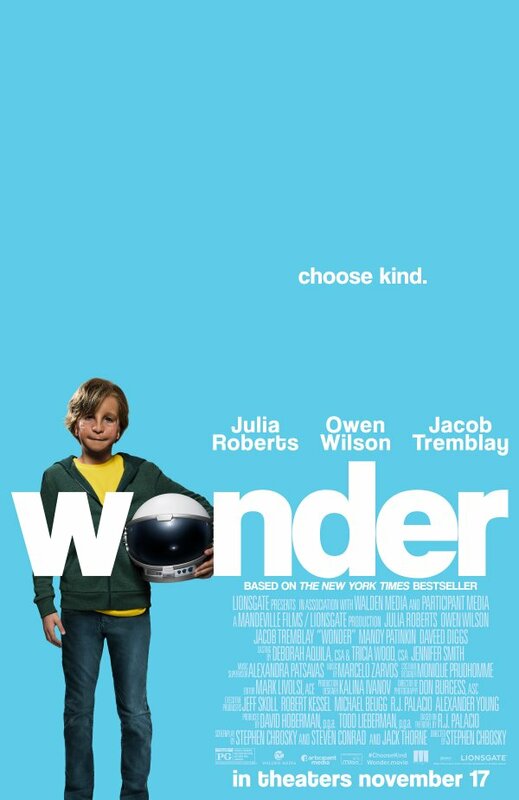 Wonder was an astonishingly perfect, easy opportunity to start, and they failed at the first hurdle, apparently without even trying," says Mike Moody, who was born with Crouzon syndrome. "I'm honestly quite angry about the film. I often think about how, when I was nine, I would absolutely have gone to the original Harry Potter auditions had they been easily accessible, just to try—and now, a part specifically existing for a disfigured young actor is stolen, and it's incredibly dispiriting." Update 3/14/17: This story has been updated to reflect the fact that the makers of Wonder have yet to reply to our requests for comment. 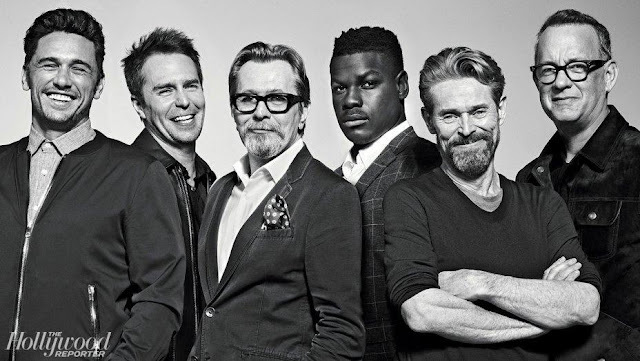 I’m hoping that when the film opens we will all find that it’s a sensitive portrayal and that rather than casting a negative light, it illuminates the issue, teaching those of us in the able community to be not just kind, but more open, under standing and accepting of people different that the rest of us.